Cupping therapy originated in Asia and is a form of alternative medicine. During a cupping session, a therapist puts special cups on your skin for a few minutes to create suction. Individuals receive cupping for various reasons including to help with pain, inflammation, blood flow, relaxation, and well-being. Cupping can help enhance the benefits of massage therapy. Massage’s close cousin. Reflexology is the systematic manual manipulation of the reflex points of the body, generally the hands and feet. Reflexology can improve circulation and relieve tension. It promotes the body’s natural healing processes while relaxing the recipient. Aromatherapy Massage is a Body First Massage with essential oils (highly concentrated plant oils) incorporated into the massage session. Not all Body First massage therapist offer aromatherapy services. 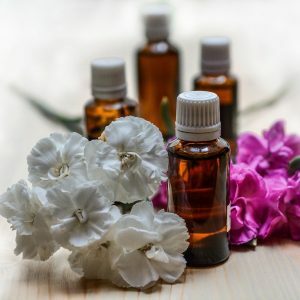 Please discuss with your therapist if incorporating essentials oils into your session is right for you. See our current offerings or call 785 587 8300 for additional information.